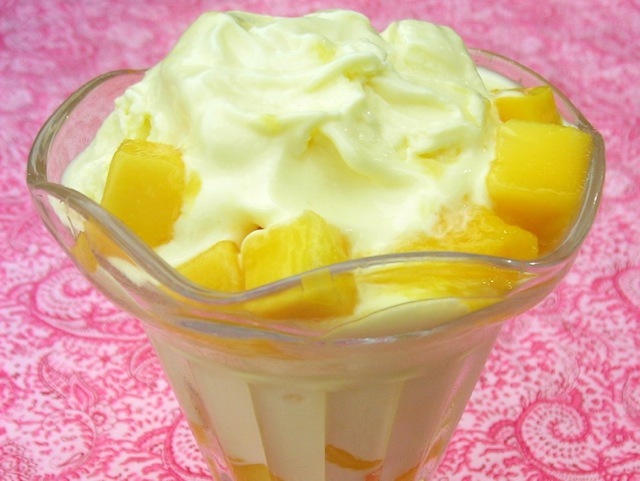 For this recipe, chose a sweet mango with low fiber content. I used Valencia Pride, a sweet, virtually fiber-free mango. The Ataulfo (often marketed as the Champagne mango) is another great choice. In a blender, pulse all ingredients together until smooth. Add additional honey to taste. Pour into your ice-cream maker and freeze according to the manufacturer’s instructions, about 20 to 30 minutes. Serve immediately for a soft-serve-style treat or remove to a freezer-safe container, and freeze 2 to 3 hours until firm. Serve, if you wish, topped with additional cubed mango. Get more tips for mangoes in Rachel Rappaport's how-to article.